Harriet’s mom and I were connected through a mutual friend, and we actually ended up taking a doula course together shortly after! Harriet was born in the comfort of her home surrounded by her loved ones. 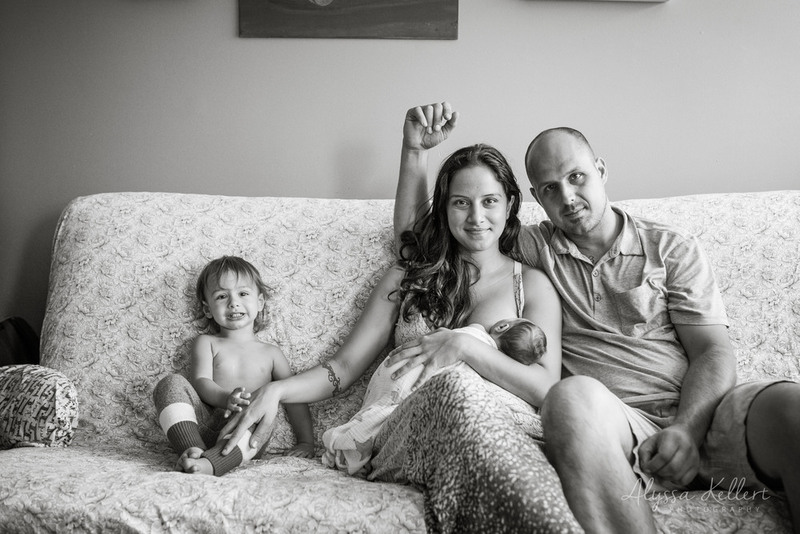 To see her birth story + photos by her good friend at Birth of Hope, go here! If you would like to see more of the session in a lovely little slideshow, go here or down to bottom of this post. Busy big brother enjoyed some Peppa Pig and snacks as everyone finished getting ready. And lets not forget some love from daddy! It was such a pleasure spending time with this little family of four! Be sure to watch the slideshow below in HD!